The Grandeur Park Residences showflat has the following 3 types of show units: a 2 bedroom classic, a 3 bedroom classic, and a 5 bedroom unit. If you would like to view the Grandeur Park showroom, just drop us a line below. 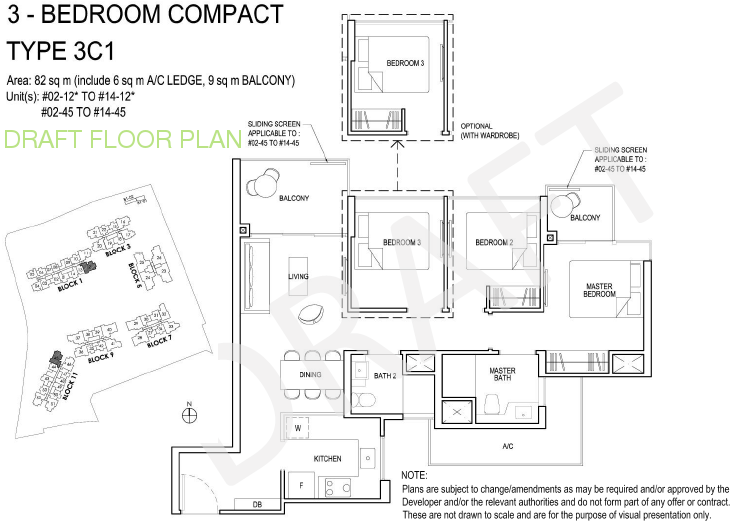 This showcases a top floor 2 bedroom compact unit. Top floor units come with higher ceilings, 4.25m high, which allows for a platform furniture deck. This concept suits the lifestyles of younger residents, perhaps creative individuals looking for extra space to act as a private workshop. The showflat is in bold exciting colours to cater to those with adventurous tastes, with dark wood paneling for a contrasting warm cozy ambience. A large tinted mirror highlights and emphasises the luxurious double volume space. A cosy corner acts as a quiet reading alcove. The worktable is set parallel to the window to allow the occupant to enjoy the view whilst at work. In the master bedroom, the mirror above the paneling highlights the generous high ceiling. This unit would suit a small family, perhaps of around 4 to 5 occupants. Such as working parents, with young or teenage children. The entranceway is tucked in, to maximise privacy. 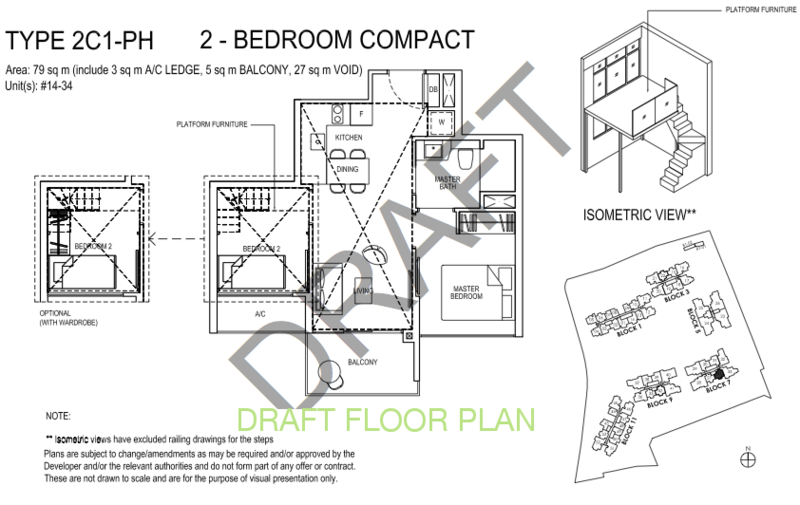 The rest of the unit is pretty efficiently designed, with little space wastage, which makes it possible to fit in a good number of functions within the small envelope. In the show unit, a common space in the form of a study area has been created adjacent to the living room, encouraging the family to spend time together while pursuing separate activities. The parents can be working at the desk while one child watches TV, and another plays in a corner. Yet they are all in view of each other and within earshot, opening up the lines of communication among them. In one bedroom, a desk is cantilevered at the foot of the bed, creating an unlikely study area from an otherwise unusable space. Here, books can be stored on the cantilevered shelves as well. The master bedroom gives the parents a place of their own, to relax and chill out in, with its own balcony. This unit type has its own private lift, with a separate service back door. 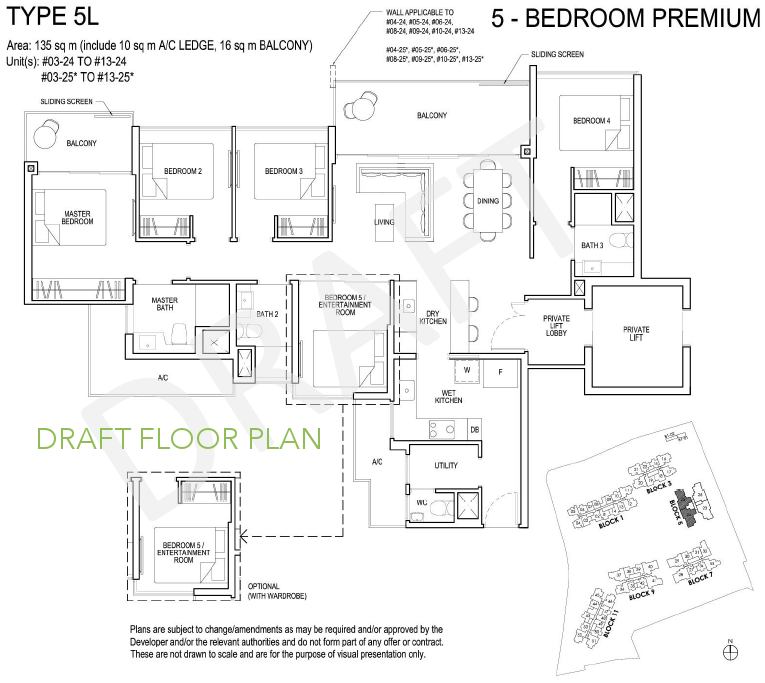 It comes with a junior master bedroom near the entrance foyer. So you can reconfigure it (at your own cost) into a dual key unit, if you prefer. Please register here if you would like to view the Grandeur Park showflat. This entry was posted in Grandeur Park Residences by Reviewer. Bookmark the permalink.